SAN CLEMENTE, Calif. , Jan. 17 /CSRwire/ - Today, REEF, one of the world’s premier beach footwear and apparel brands, and the Surfrider Foundation, a leading nonprofit organization dedicated to the protection and enjoyment of our ocean, waves and beaches, announced the international expansion of the Better Beach Alliance program to protect the coasts. The collaborative program will collectively contribute to the removal of up to 300,000 pounds of plastic pollution and trash through the efforts of an anticipated 90,000 volunteers at about 2,450 beach cleanups across the U.S. and Europe in 2019. 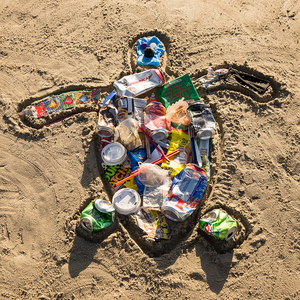 Launched in 2018, the Better Beach Alliance was developed by the Surfrider Foundation and REEF to expand the impact of Surfrider’s beach cleanup program and amplify the amount of trash removed, volunteers engaged and events hosted. As a result of this successful program, more than 33,092 volunteers joined together across the U.S. last year to remove about 227,580 pounds of plastic pollution and trash through 910 beach cleanups nationwide. This year, the Better Beach Alliance will grow internationally with the addition of the Surfrider Foundation’s European affiliate to the program. An anticipated 60,000 volunteers will work to remove up to 100,000 pounds of trash and plastic through 1,600 beach cleanups across Europe. This significant impact will be in addition to the planned 200,000 pounds of pollution to be removed by 30,000 volunteers through 850 beach cleanups in the U.S. The Better Beach Alliance underscores REEF’s continued efforts to reduce plastic pollution and protect healthy beaches. The brand’s mantra, Beach Freely, embraces the connection between protecting the beach from harmful pollutants and creating clean and healthy places to enjoy for the future. The collaborative Better Beach Alliance program invites brands to play a role in the preservation of clean and healthy places for all to enjoy. In 2019, the Better Beach Alliance celebrates continued sponsorship at the supporting partner level from Clif Bar and welcomes a new supporting sponsor, Costa. For more information on the Better Beach Alliance, visit reef.com/our-pledge.html. To get involved, find your nearest Surfrider chapter at Surfrider.org/chapters at or support Surfrider’s volunteer coastal defenders at Surfrider.org/support-surfrider. REEF is the global footwear and apparel brand that encourages people everywhere to Beach Freely. United by the spirit of the beach since 1984, REEF designs innovative and comfort-driven products to celebrate the freedom and fun of the beach lifestyle. REEF® and Reef Beach Freely™ are trademarks of Trestles IP Holdings, LLC. The Surfrider Foundation is a nonprofit grassroots organization dedicated to the protection and enjoyment of our world’s oceans, waves and beaches through a powerful network. Founded in 1984 by a handful of visionary surfers in Malibu, California, the Surfrider Foundation now maintains over a million supporters, activists and members, with more than 170 volunteer-led chapters and student clubs in the U.S., and more than 500 victories protecting our coasts. Learn more at surfrider.org.